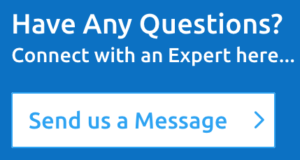 Contact centers achieve the Center of Excellence distinction based on best-practice metrics drawn from the world’s largest database of objective and quantitative data that is audited and validated by researchers from BenchmarkPortal. 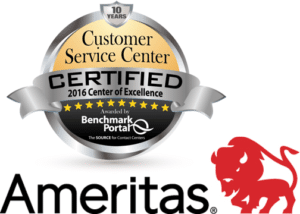 BenchmarkPortal awards the Center of Excellence designation to customer service call centers that rank in the top ten percent of the call centers surveyed. Those contact centers that demonstrate superior performance on both cost-related metrics and quality-related metrics, compared with their industry peers, earn the award. The group division also recently ranked third in BenchmarkPortal’s 2017 Top Contact Centers awards for medium-sized call centers. Leading call centers are judged on key performance indicators for efficiency and quality service. This is the second year in a row Ameritas has achieved this third place ranking. Ameritas — Ameritas Life Insurance Corp. and its affiliated companies — offers a wide range of insurance and financial products and services to individuals, families and businesses. The group division of Ameritas has served customers since 1959 and today provides dental, vision, and hearing care products and services, insuring or administering benefits for more than 6.4 million people nationwide. Ameritas has one of the largest dental networks in the country with more than 413,500 access points. Its contact center has earned BenchmarkPortal’s Center of Excellence certification every year since 2007 and placed third in BenchmarkPortal’s Top Contact Centers for medium call centers in 2016. In New York, dental, vision and hearing care products are offered through Ameritas Life Insurance Corp. of New York. To learn more about Ameritas, visit ameritas.com or ameritasinsight.com.